Get a head start on everyone else by mastering using shrimp paste at home with these incredible recipes. F&W Best New Chef 2010 James Syhabout believes that shrimp paste, a Southeast-Asian paste made with fermented ground shrimp, will work its way out of Thai kitchens and into the mainstream. “People will realize how enjoyable the funk is that comes along with shrimp paste’s deliciousness,” he says. 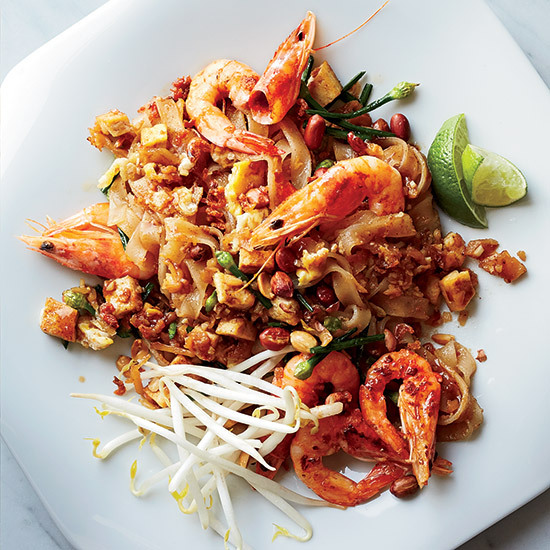 There’s three times the shrimp in this perfect pad Thai: The recipe calls for head-on fresh shrimp, fried dried shrimp and shrimp paste. Chef Bryant Ng’s version of pork satay is perfectly balanced and deliciously aromatic. These flavorful toasts are a classic Chinese dim sum snack. Andrew Zimmern adds Thai flavors like shrimp paste and kaffir lime to his creamy carrot soup for a super-satisfying dish. Quick, simple, but deliciously complex, this fried rice is seasoned with shrimp paste, oyster sauce, soy sauce and white pepper.